The ubiquity of this beautifully satisfying geometric symbol is astonishing. It appears at the Golden temple in Amritsar, in a Buddhist Temple at Ajanta, India, in the Louvre and at Ephesus. It has been embroidered onto the robes of Sultans. It can be seen in Cordoba, in Marrakech, in Beijing, the Lebanon, in Egypt, and Japan. Despite the seeming simplicity of the design, hidden within it are subtle complexities that have such a profound meaning for some that they believe the Flower of Life depicts the fundamental forms of time and space. The most obvious symbols inherent within the Flower of Life are the circle, the hexagon or six-pointed star, and the Vesica Picis. 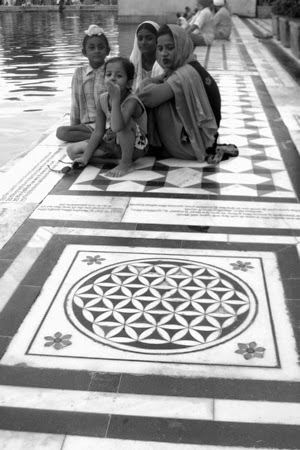 Furthermore, three intersecting circles alone form a Borromean Ring which is also known as the Tripod of Life symbol. (Body, mind and spirit). Some important symbolic sequences can be derived from many-circled versions of the design, for example Metatron's Cube can be derived from the Flower of Life, and the five Platonic solids can then be 'extracted' from the cube. As if these fundamental principles of sacred geometry were not enough, the Kabbalistic Tree of Life can be discerned within the Flower of Life, as can the Seed of Life. Here is a very detailed video from Spirit Science which explains where the origins of the Flower of Life came from and how they believe that everything in existence comes from the Flower of Life, which even teases the pattern of the Egg of Life which is the structure of the embryo egg. 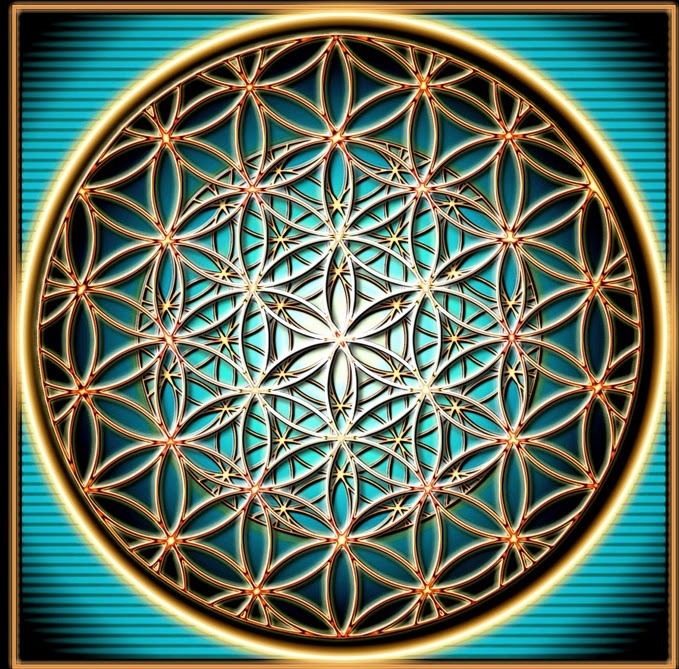 The video is well explained in what can be derived from the Flower of Life, and at one point the narrator mentions the dodecahedron and its relation to the higher levels of consciousness. This is referring to how sacred geometry is ultimately the Conscious Grid also known as the Christ Consciousness that is the platform for creation to occur. The 90 minute video below goes into more detail of what was mentioned here, specifically on the Pineal Gland and how it links to Consciousness. This video was made in 2008 and also talks on the possible outcomes of 2012, have their predictions come true?